On a practical level, for the rover to perform an isotopic analysis to provide further clues it will have to expend a lot of power and time, and hit it lucky with another surge in methane at its location. The other tricky part, in my opinion, is to do with whether or not we’re being overly cautious in interpreting data like this. In the past 50 years we’ve gone from imagining alien life as a near certainty to something far more unknown, more precious. This scientific caution systematically lowers the statistical weight we wittingly, or unwittingly apply to a result like Curiosity’s methane detection. We demand extremely high standards from any data to prove the existence of something as important as life. This is, by and large, a good thing. But we need to be careful that it’s not overly conservative, holding back progress. It was Carl Sagan who stated that “extraordinary claims require extraordinary evidence” – and it’s a critical standard to hold ourselves to. Yet it does hinge on just how extraordinary we presume something to be in the first place, and we do like to think that life is truly extraordinary – even though we don’t really know if that’s true. We also keep finding reasons to go and visit places like Europa or Enceladus. Or for that matter any ice shrouded body that might harbor deep, dark oceans of water – places where life could perhaps exist. I wrote about this in detail for Sky & Telescope this year, but the bottom line is that we already suspect that altogether the solar system harbors at least 15 times the volume of Earth’s oceans in liquid water beneath the surface of bodies like these, including Ganymede, Titan, and perhaps even Pluto or Eris. 2015 will be a year of further planning and study for missions like NASA’s Europa Clipper and ESA’s JUICE. 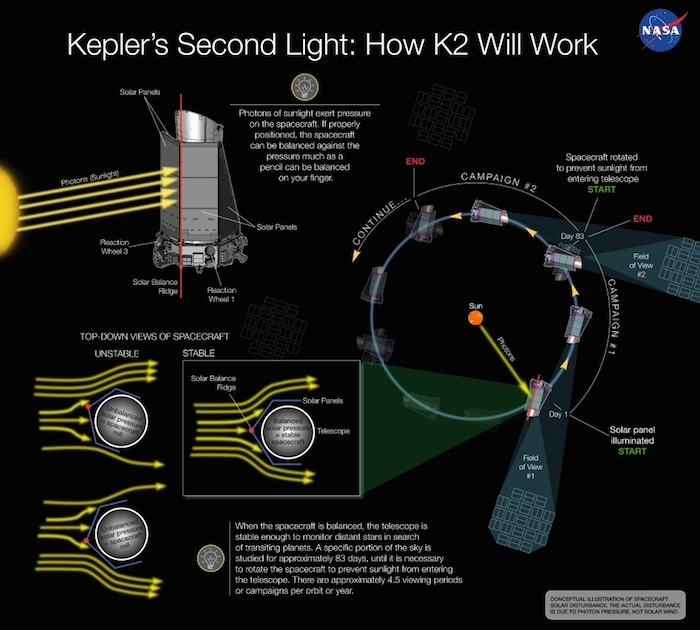 These flagships would not be able to explicitly search for life, but they could revolutionize our understanding of some of the most alien, yet promising, environments right in our own solar system.On the exoplanet front we can expect more planet candidates to emerge from the NASA Kepler mission’s data archive, as well as some interesting stuff from its extended ‘K2′ mission – following the failure of reaction wheels in the spacecraft. Some of the most important exoplanet data over the next couple of years will be detections of potentially habitable worlds around cool, lower-mass stars in our immediate cosmic neighborhood. These will become prime candidates for biosignature searches with the next generation of telescopes like JWST and the mammoth ground based observatories coming online over the coming decade. In 2015 though, I think one to watch is the ‘MEarth’ project – an innovative ground-based survey for precisely these worlds. 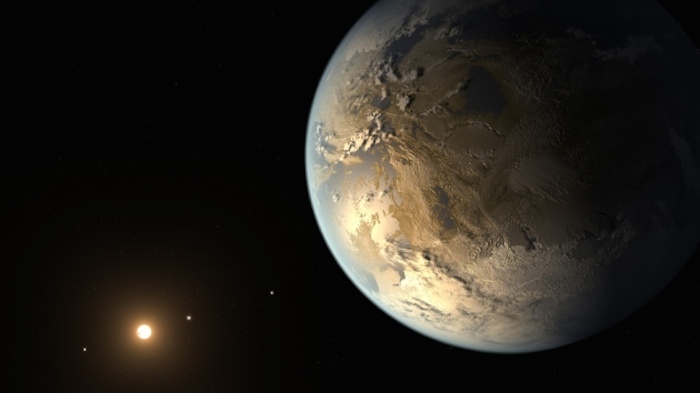 It won’t find life, but it might find the planets that we eventually detect life on. In the same vein as the study of icy moons in our solar system, the ongoing exploration of ‘primitive’ bodies like comets and asteroids is unlikely to suddenly produce evidence of life, but it is revealing an amazing rich history in the environments surrounding the Sun. In 2015 the incredible ESA Rosetta mission will continue as comet 67P/C-G loops through its closest approach to our star – hopefully unlocking much more about cometary compositions and ancient chemistry. And in February 2015 NASA’s Dawn mission will arrive at Ceres. This could be a surprising and important encounter. Although we’ve often called Ceres an asteroid, that label doesn’t really begin to describe this object. Ceres, as a dwarf planet, is more akin to an icy moon than our traditional (and now changing) notion of what an ‘asteroid’ is. It’s nearly 600 miles across (that’s twice the size of Enceladus). It seems to be water rich, probably with a thick layer of ice beneath a dust covered surface. It may have a very tenuous atmosphere (or exosphere), and conceivably active cryovolcanism. But what about that breakthrough detection of extraterrestrial life? The one other possibility, as it has been for decades, is that something intriguing will emerge from SETI. Placing odds on this being successful is, of course, next to impossible. However, there are new searches for so-called ‘techno-signatures’: whether in peculiar and inexplicable features within Kepler’s enormous database – strange stellar eclipses or flashing laser signals – or as unusual infrared glows from vast alien structures. The net is being cast a little further, and that’s a good thing.